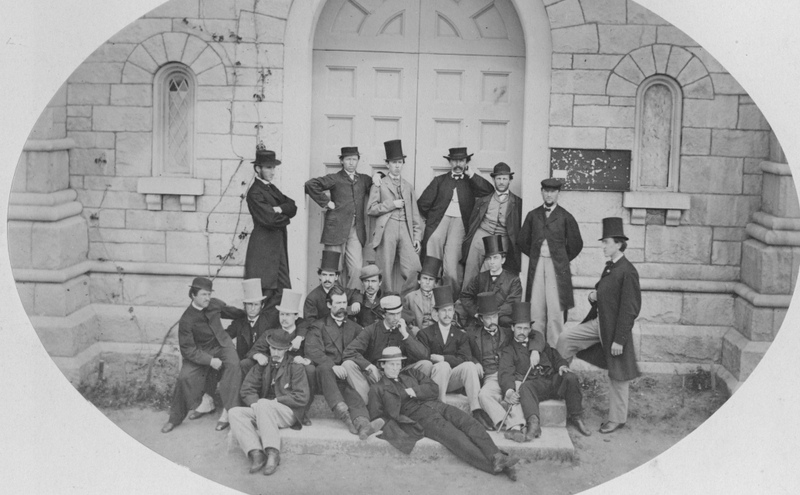 Group portrait of the Bowdoin class of 1866. Standing (left to right): Holmes, Fernald, Woodman, Lawrence, Carlton, Williams, Gross. Second row (left to right): Sumner, Herrick, Lord, Fellows. Third row (left to right): Beecher, Carter, Boardman, Hussey, Gerrish, Hinkley, Webster, Kelly. Lower step: Packard, Chapman.